This week I was working for an international customer. The customer had a SCOM 2007 R2 CU5 infrastructure installed on Windows 2008 R2 SP1 servers with ~800 Windows agents and ~250 Unix based agents which they were going to migrate to SCOM 2012 SP1 UR2 installed on Windows Server 2012 in a side-by-side scenario. 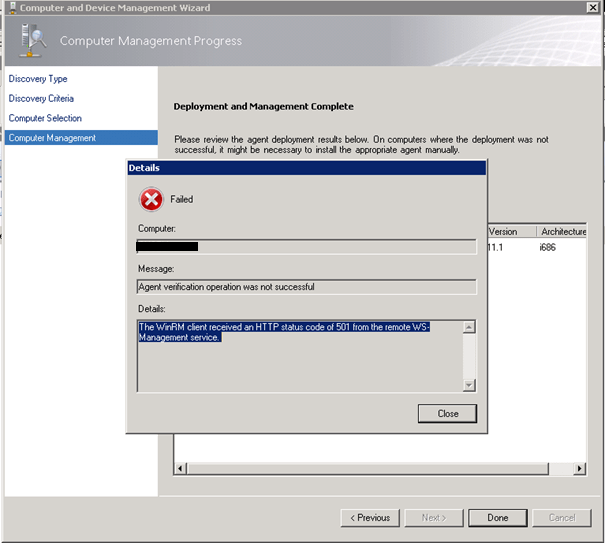 The WinRM client received an HTTP status code of 501 from the remote WS-Mangement service. The server also appeared healthy in the SCOM console :). As you can see, you can upgrade Linux agents from SCOM 2007 R2 (version 1.0.4-277) to the new SCOM 2012 SP1 Linux agent (version 1.4.1-270) using the console. We tested this scenario with a Linux Enterprise Server 4 and we will now have to check if there will be any issues after changing this registry key. It might be an idea to delete this registry key after migration. There is a KB from Microsoft about security issues if you set this registry key. 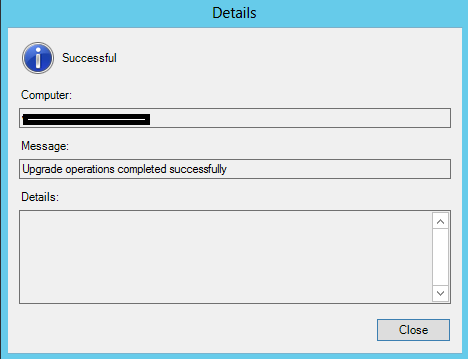 Quick Post – SCOM 2012 Where Does Widget Data Come From?